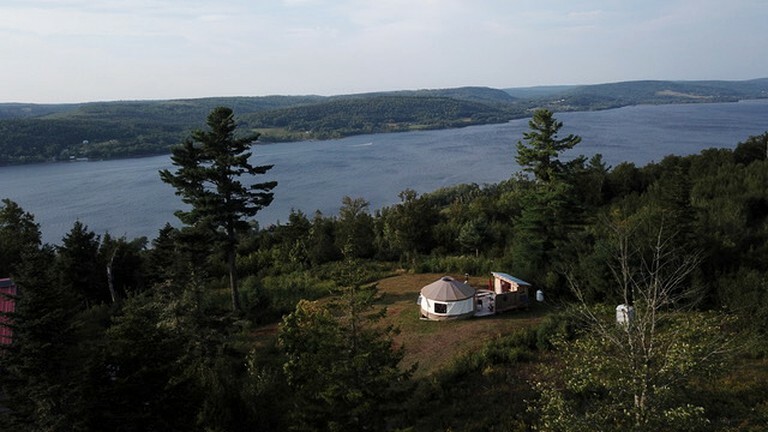 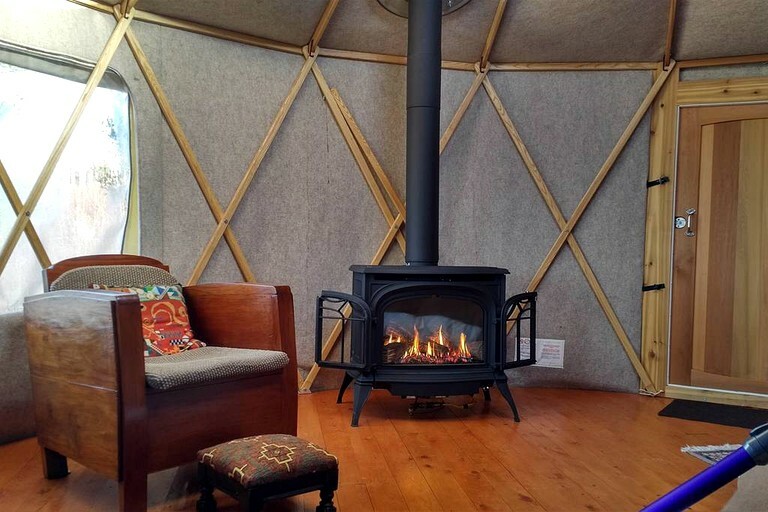 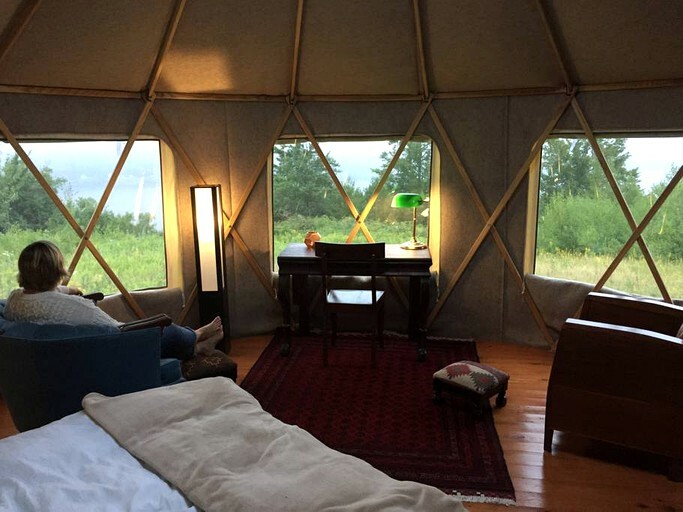 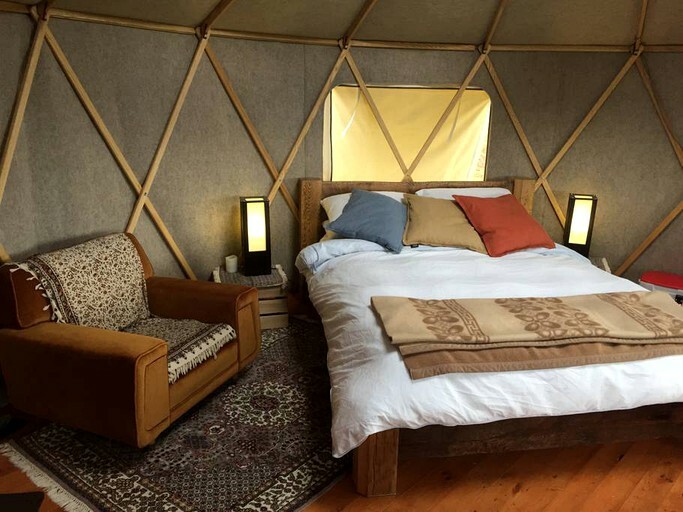 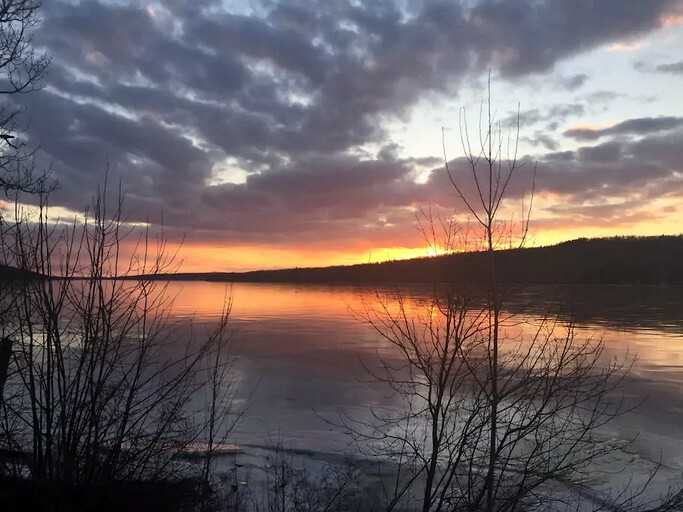 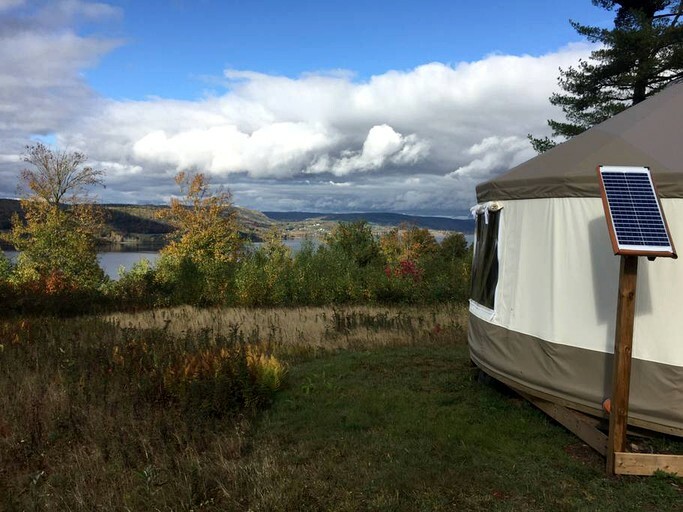 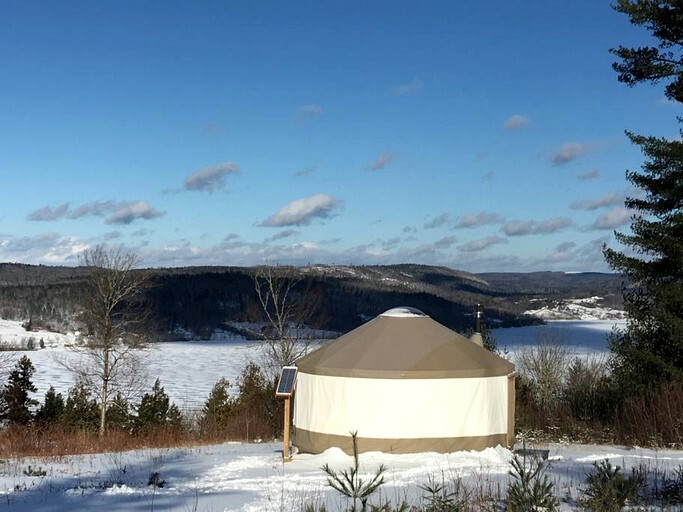 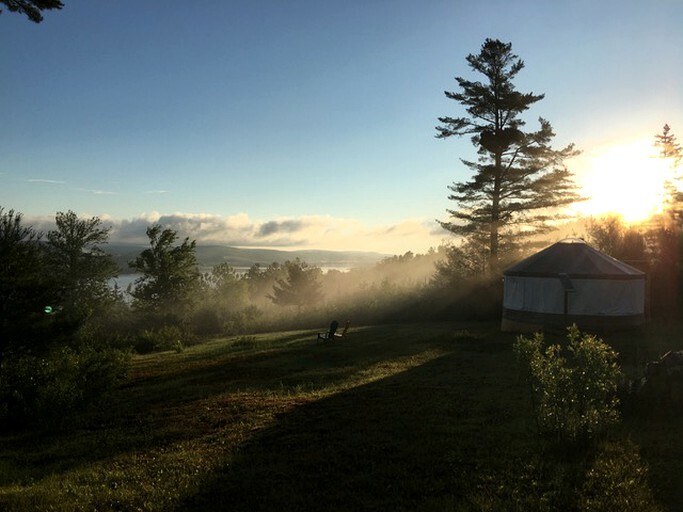 This secluded and seasonal yurt rental is located in Long Point, New Brunswick, and offers stunning views of Bellisle Bay. 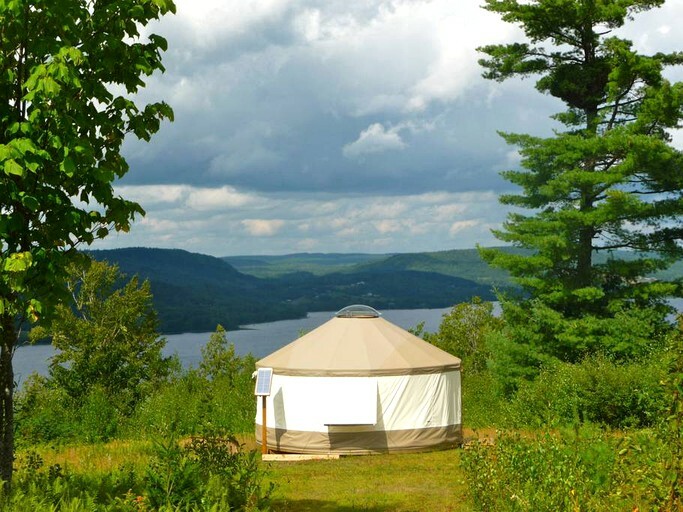 Hiking trails and beach access are simply a walk away. 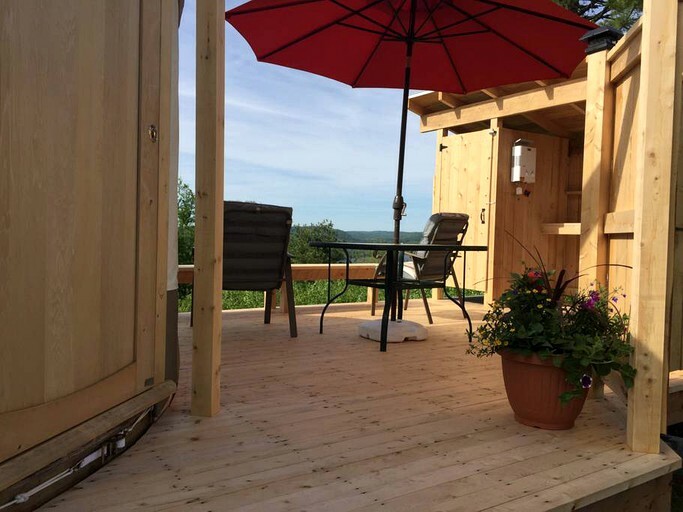 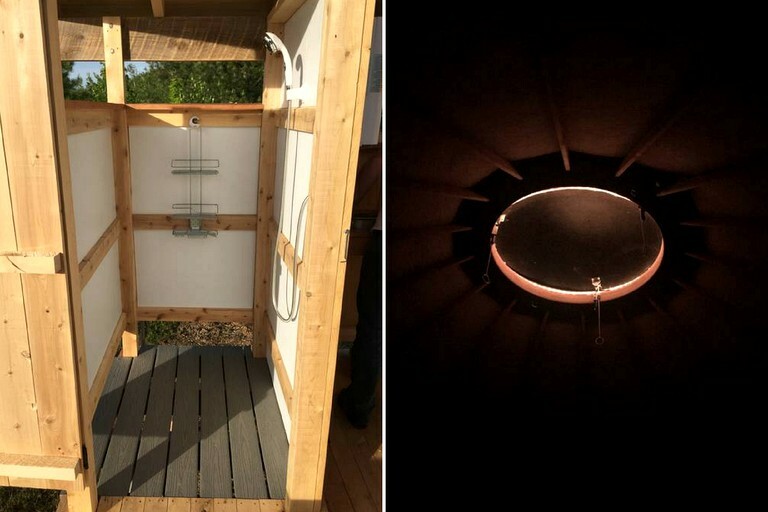 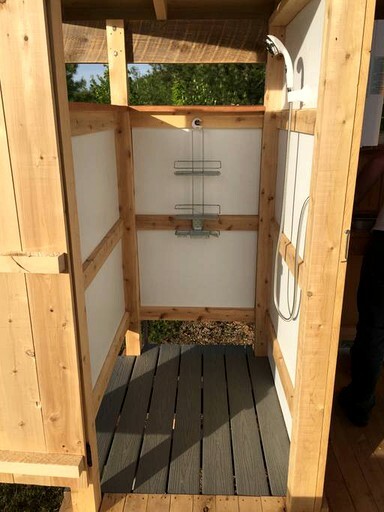 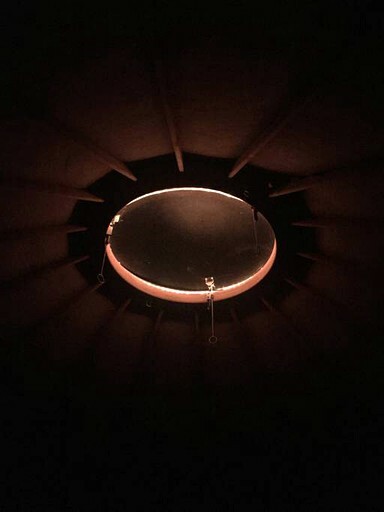 Glampers can enjoy their own private deck with outdoor propane on-demand hot shower, a porta potty outhouse and a barbecue grill, which includes all the necessary utensils. 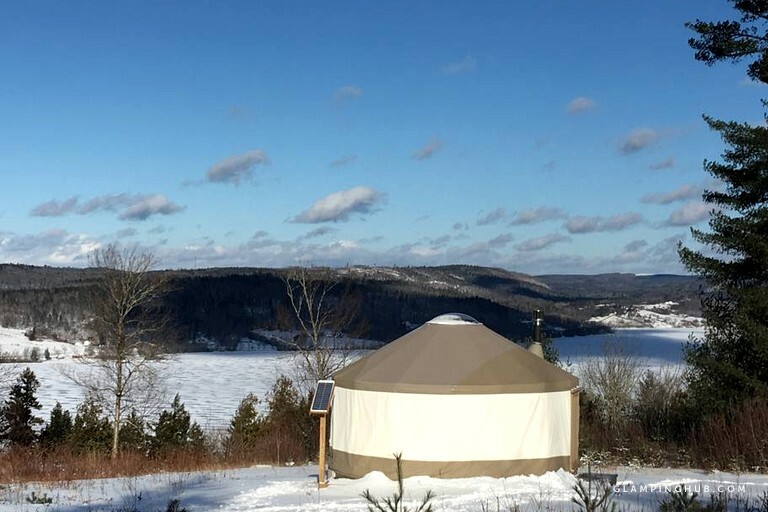 Guests are encouraged to bring ice (ice box provided) as well as toiletries and towels; the host will provide plates, cutlery and fresh bed linens. 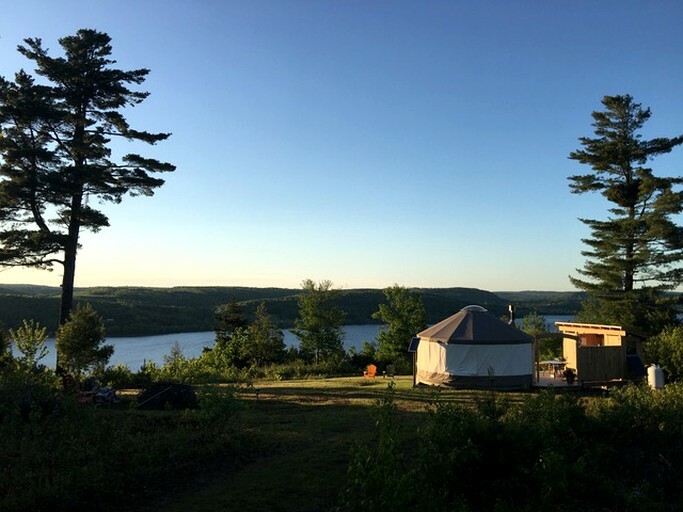 This hilltop escape comes equipped with an outdoor wood-stove sauna brings the luxury of a resort to this private oasis. 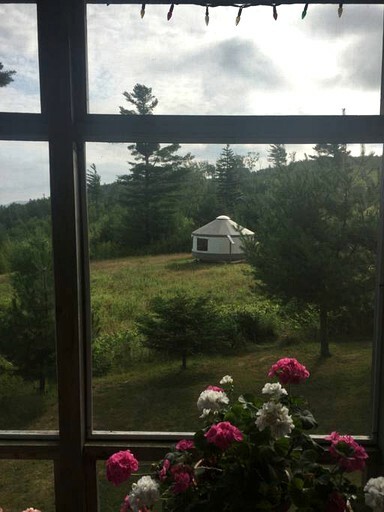 The property owner lives on the premises and can assist with requests as needed. 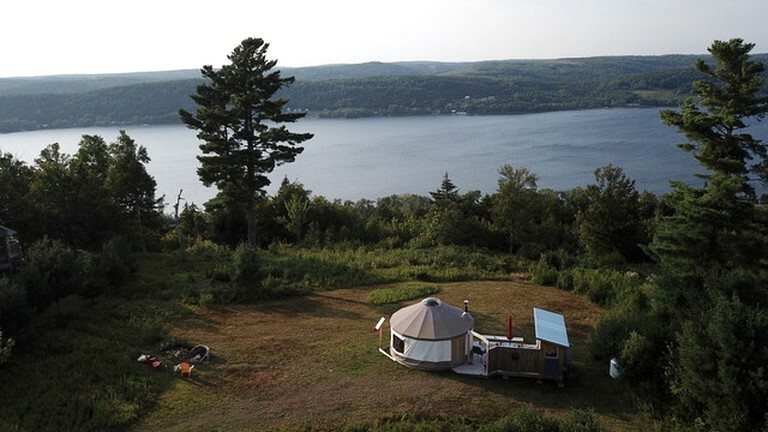 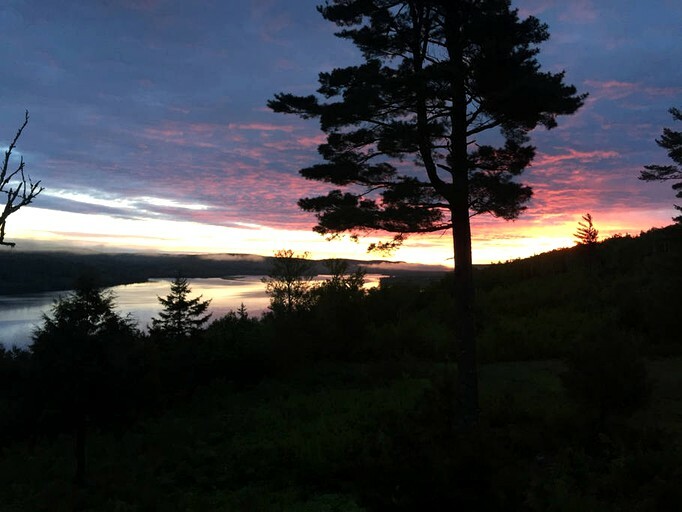 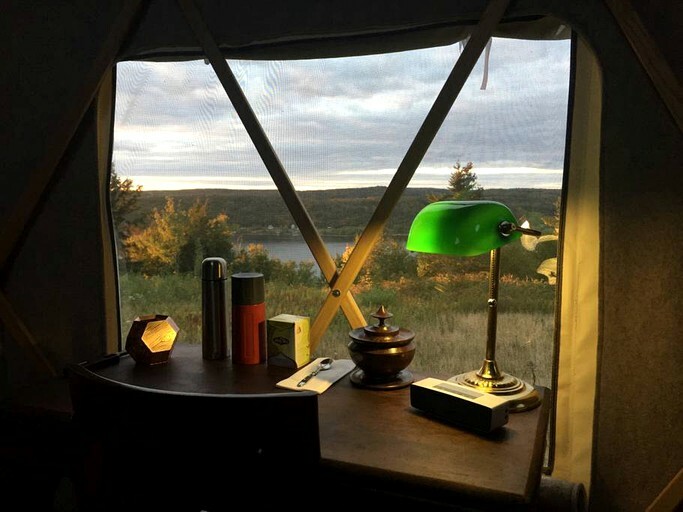 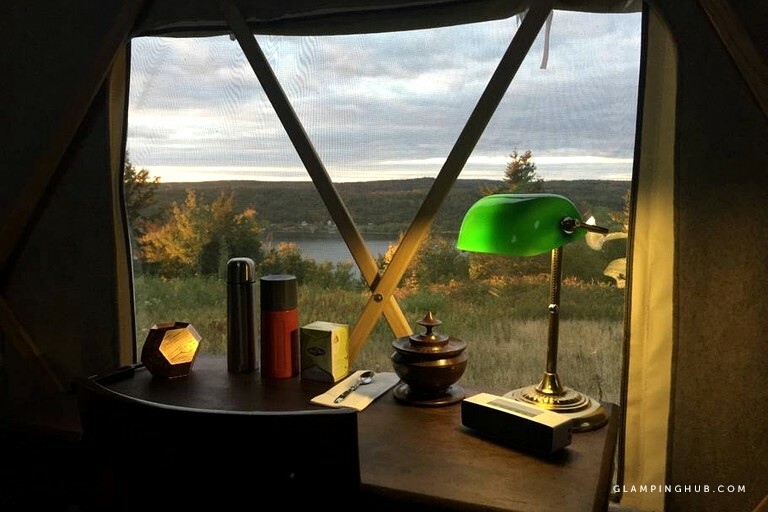 Glampers can soak in the sights and sounds of nature, posted on top of a hillside with incredible views of the Bellisle Bay. 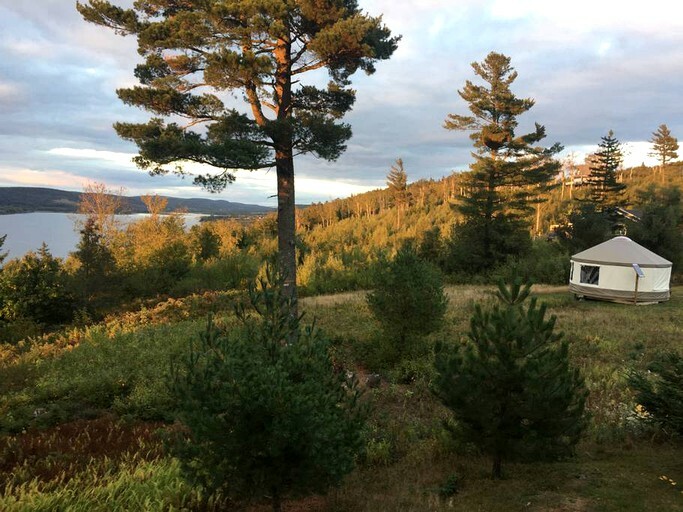 Surrounded by trees, guests have access to many hiking trails varying in length and distance from the cottage. 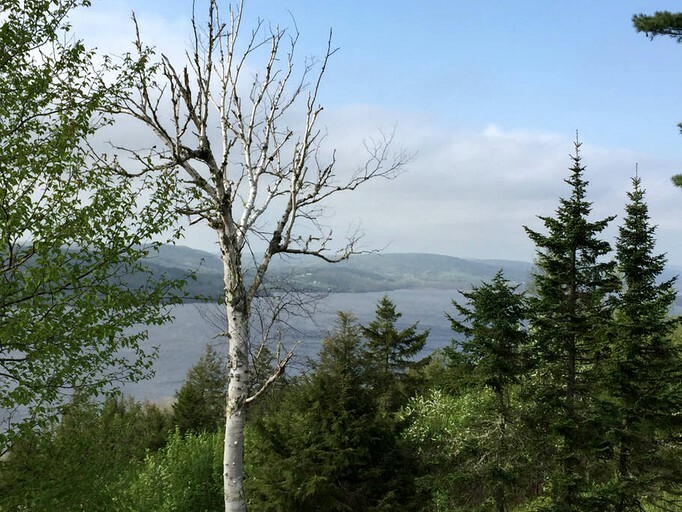 The hike to Reddins Fall takes only five minutes, while Fundy Trail is thirty-five minutes away but offers stunning beach views. 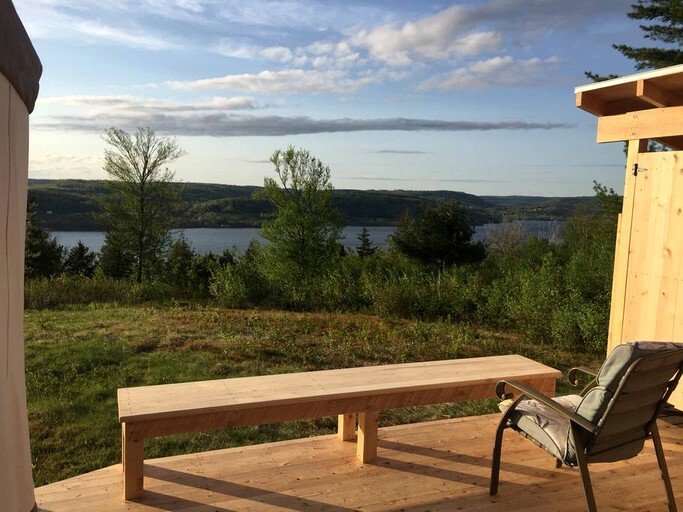 Bird watchers and photographers do not even need to leave their front yard to find sensational outdoor sights, while beachcombers will love wandering down to the shoreline every morning. 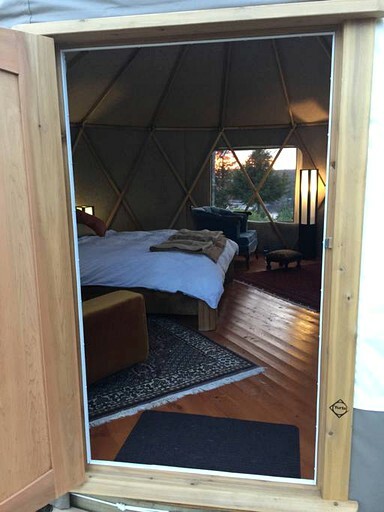 Kayak rentals are only ten minutes from the cottage, and nearby Gillis Winery can provide glampers an evening of relaxation and fun. 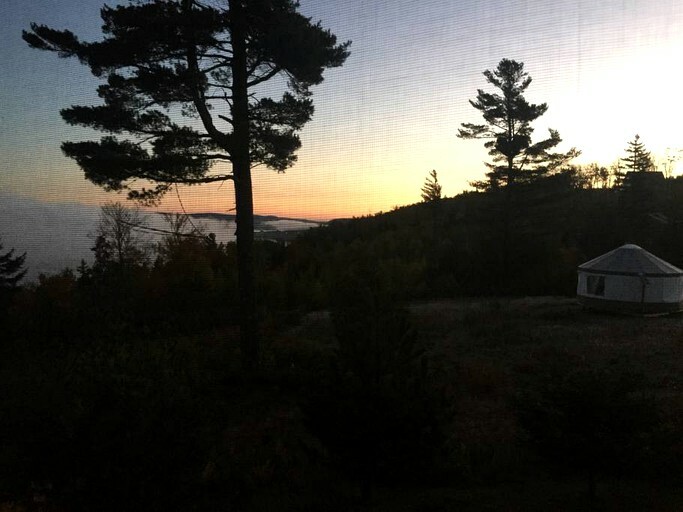 There are multiple golf courses within driving distance, including the Hampton Golf Club. 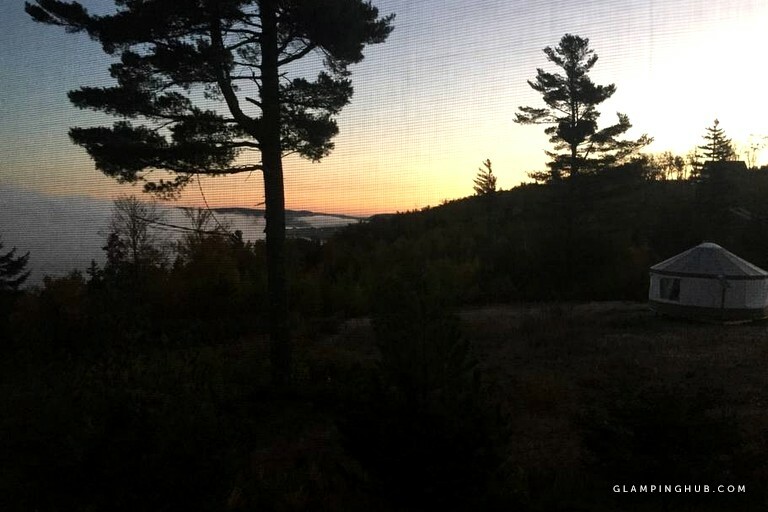 If guests are feeling peckish, diners like Momma George and Up to Par are a simple ten-minute stroll away. 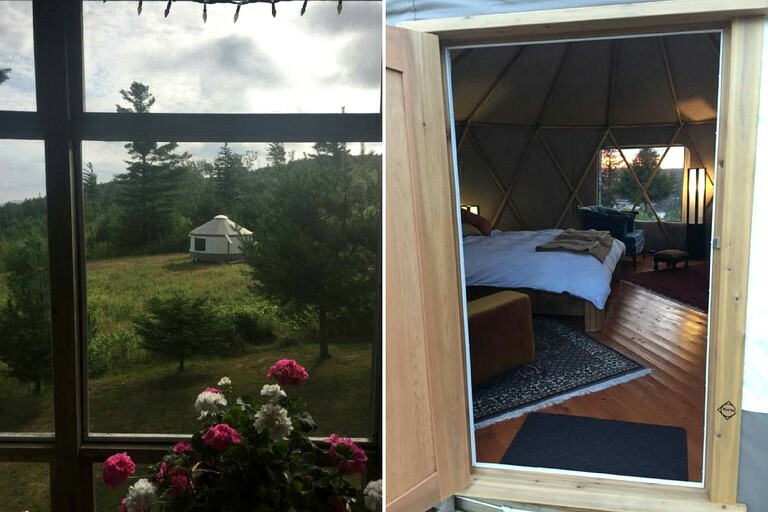 There is a $400 security deposit required.